Superior performance and an affordable price. The SP500 from Star Micronics combines renowned reliability and a multitude of high end features into a compact, value-driven solution. This printer series has a bi-directional, logic seeking mechanism resulting in an exceptional throughput outpacing its nearest competition. 39590200	 Star Wall mounting kit for the SP500 series printers. 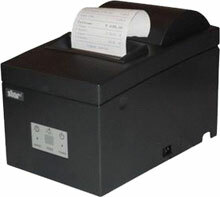 The Star 37998010 is also known as Star Micronics	STA-37998010	.